SHADOW CHILDREN Luke has never been to school. He's never had a birthday party, or gone to a friend's house for an overnight. In fact, Luke has never had a friend. 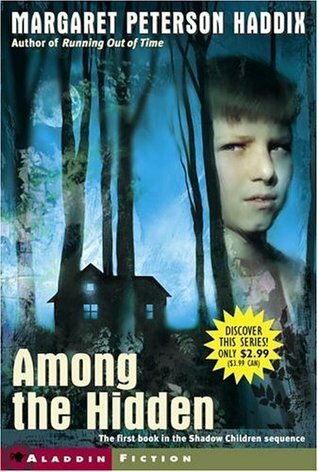 Luke is one of the shadow children, a third child forbidden by the Population Police. He's lived his entire life in hiding, and now, with a new housing development replacing the woods next to his family's farm, he is no longer even allowed to go outside. Then, one day Luke sees a girl's face in the window of a house where he knows two other children already live. Finally, he's met a shadow child like himself. Jen is willing to risk everything to come out of the shadows -- does Luke dare to become involved in her dangerous plan? Can he afford "not" to?